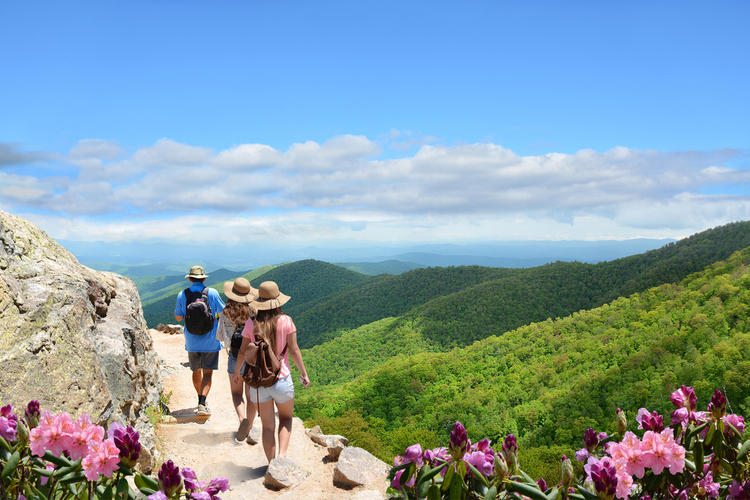 One of the best ways to experience the breathtaking nature of North Carolina is through hiking its magnificent trails. 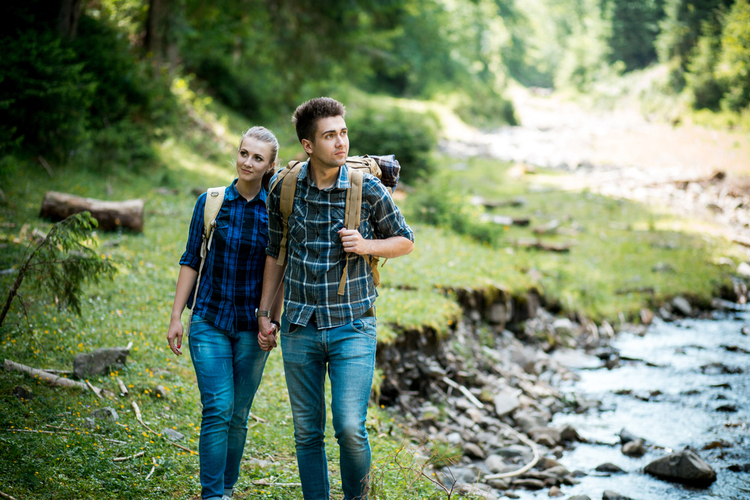 Hiking trails all over the state provide beginners and experienced alike with an unforgettable journey of marvelous vistas, sparkling waterfalls, and more. 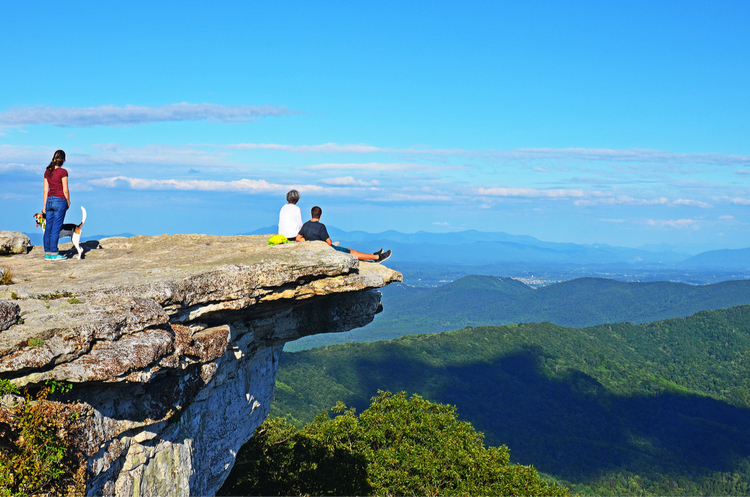 Get outside, grab a walking stick, and walk into nature with these five beautiful scenic hikes in North Carolina. This moderate hike features two waterfalls, views of creeks, and forests of gorgeous greenery. A path that leads to a view of both the Grandfather Mountain and the South Harper Creek Falls will make you want to take out your camera to capture the gorgeous view. Approximately eight and a half miles, the climb is hilly and not for the lighthearted. Best for the summer, you may find yourself walking in the cool water sometime during your hike. Two popular swimming holes for cooling off and cliff jumping are on the trip. An easy hike, this beautiful trek is great for all ages. Moore Cove features creek crossings, a waterfall that is accessible, and a cave all are along the hike including the Looking Glass Creek. Trees fill the forest such as oaks, maples, and tulip poplar. This is a relaxing family hike among stunning nature. Hickory Nut Falls is a breathtaking hike. Popular for its scenes in the movie “The Last of the Mohicans,” Hickory Nut Falls is a moderate hike with views of the falls, rock formations, and foliage—hickory, oak, poplar and locust trees, rare flowers, and plenty of wildlife to see and listen to. A kid-friendly hike with small hills make for a gentle climb. Erwin’s View Trail of Linville Falls includes a few hills and a couple of obstacles. The easiest of the two trails at Linville Falls, Erwin’s View, shows hikers through the evergreen forest with a look at Chimney View, Erwin’s View, and the Upper Falls. During the hike, take in the calm river, beautiful meadows, large rocks, a canyon, the cliffs and of course, the amazing falls. 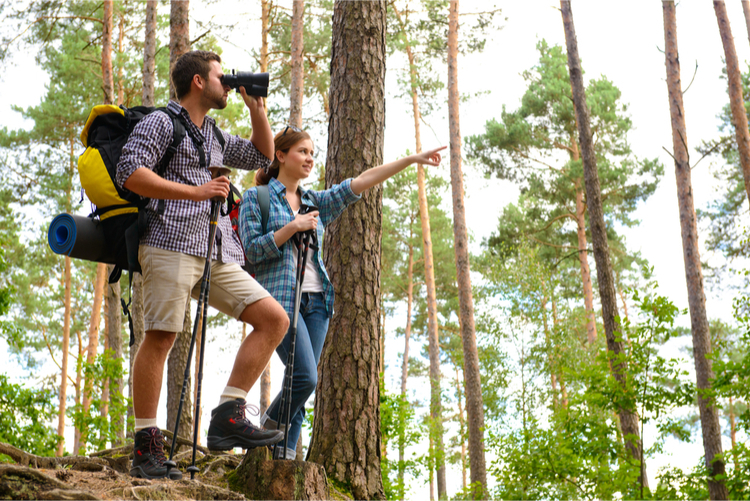 Bird watching is also a great activity for this trail. Accessible year round for a hike, Erwin’s View of Linville Falls is a gentle hike that is great for hikers of all ages. Located near Lillington, North Carolina, Raven Rock State Park affords some of the most scenic views in the state. There are several designated hiking trails in the park—all with different terrain. The Raven Rock Loop Trail is a one-mile hike that takes you through a hardwood forest. The trail leads you to the highlight of the park—Raven Rock. 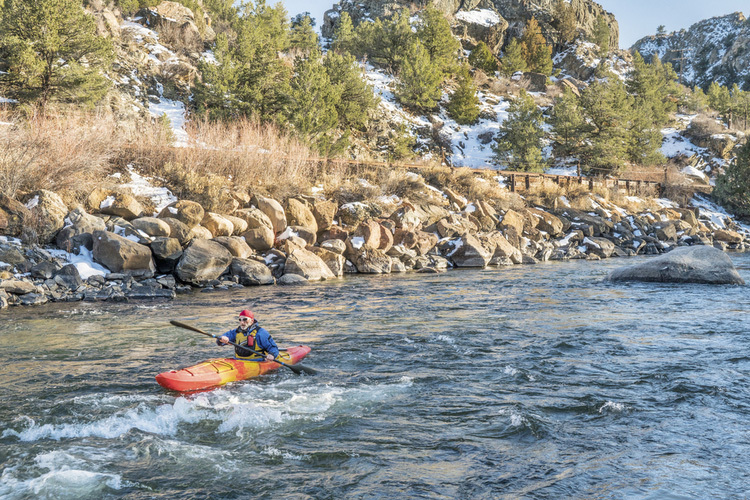 Several other trails throughout the park will lead hikers to great fishing areas, immersing you in stunning natural beauty.